Post Mounted Magnetic Red Brown RAL 8012 notice board. These are ideal for community outdoor notice boards as they are robust, waterproof and very secure. 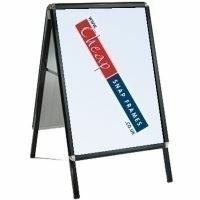 Supplied in a range of sizes from A2 up to the huge 40"x60" there is sure to one to suit you.